MANCHESTER- After 15 years as part of the U.S. State Department’s premiere professional exchange program, the World Affairs Council of New Hampshire has hosted more than 2,200 emerging international leaders from 175 different countries. 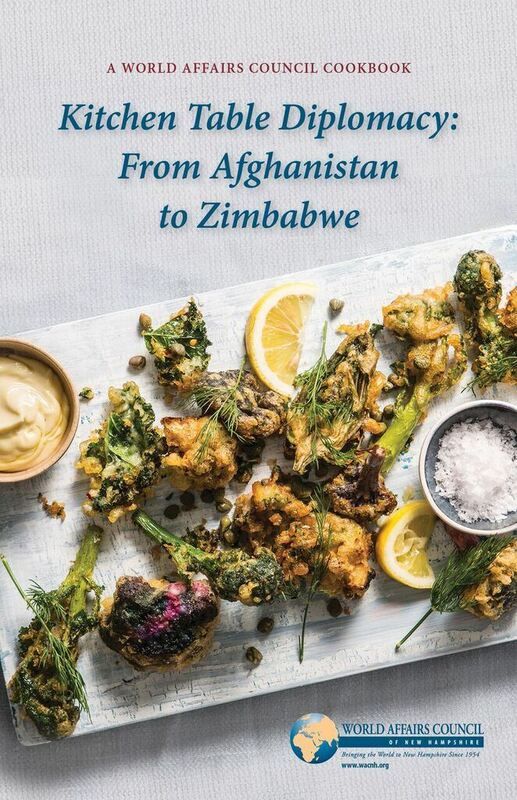 Now, the Council is launching an international cookbook to celebrate the volunteers who host the visitors for dinner in the Granite State and encourage new citizen diplomats to join the cross-cultural dialogue. The World Affairs Council of New Hampshire is one of more than 90 community organizations around the country that host visitors through the U.S. Department of State's Bureau of Educational and Cultural Affairs International Visitors Leadership Program- the department's premier professional exchange program. This program brings approximately 4,000 foreign leaders and specialists to the United States for short-term (one to three week) professional programs. Participants in the national program, who are leaders and decision-makers in their home countries; travel as individuals or as part of pre-arranged groups. Some of the groups are fully funded by the U.S. Congress through its appropriation to the U.S. Department of State, while others receive little or no financial support from U.S. government. The national program constitutes a major component of this country's public diplomacy efforts to foster mutual understanding and cooperation between the United States and other countries. Through a long-standing public-private sector partnership, the U.S. Government works with national private, nonprofit organizations and a network of volunteer-based organizations that are members of Global Ties U.S., a nonprofit organization established in 1961. Together, these organizations design and implement quality, experiential programs for distinguished International Visitors. Through its grassroots network, the National program involves over 80,000 volunteers each year as citizen diplomats who develop enduring international linkages.